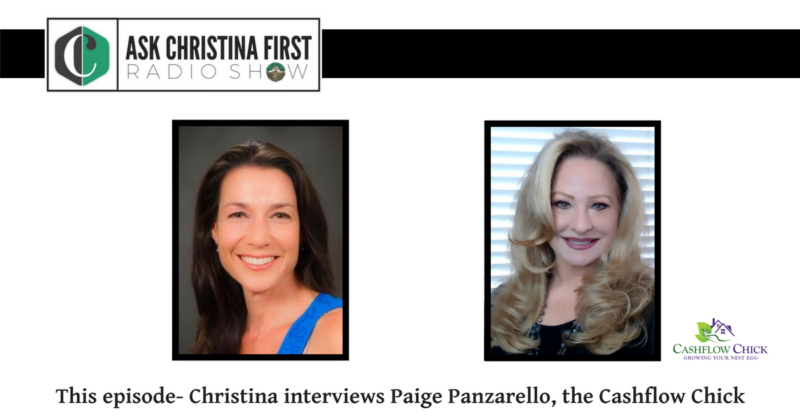 In this episode of Ask Christina First, Christina interviews Paige Panzarello also known as Cash Flow Chick. Paige who will be presenting at FIBI Pasadena March 15, 2018, talks about her career in real estate and how she bounced back from loosing 20 million dollars. With her amazing insight and experience in real estate and non performing notes, Paige not only teaches you, but she also inspires. Thank you! They are my new favorite pants.